When it comes to personal investing, most people are looking for ways to save money and get the most return on their investments. 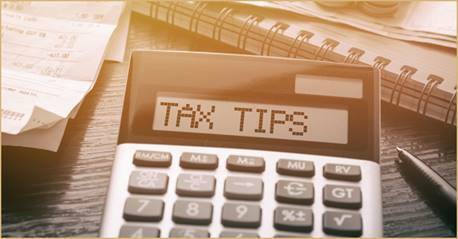 While much of what happens depends on your personal situation, there are several tax tips you can put into effect as an individual investor. They can help you save money and unlock take benefits. Let’s take a look! If you want to unlock tax benefits and save money, it’s important to make smart decisions. Here are what you can do with record-keeping, investing, and reporting to help you save this year. If you pay too much on capital gains tax with the sale of mutual funds year after year, it’s probably because you are overlooking dividends. In some cases, dividends are automatically reinvested in the funds over the years. Reinvested dividends increase your investment actually reduce your taxable gains. Failing to take advantage of reducing your taxable income by reporting reinvested funds can cost you a great deal of money in the long run. While there may only be a small difference in reduction each year, the compounded growth potential in the future will be a big loss. If you fail to report reinvested dividends, your tax-adjusted returns will suffer in the long term. Review the tax rules applicable to your specific situation and talk to your financial advisor. Make sure you keep accurate records about reinvested dividends. This will help you take advantage of savings year after year. One of the most common investment tactic to avoid loss from the stock market involves the use of bonds. When the stock market isn’t performing up to par, many investors look elsewhere to find places to put their money. Bonds serve as a safe haven to make investors as they provide interest income and you may not have to pay tax on all the interest you receive. How can that be? If you purchase a bond in-between interest payments, you won’t always have to pay on interest accrued prior to your purchase. While you still need to report the entire amount of interest you received, you can subtract that amount from the accrued amount on your IRS forms. Retail investors find municipal bonds offer a significant tax advantage. They are a convenient safe harbor for investment moneys because they have a tax-exempt status. There are several write-offs you might not even realize can be reported to the IRS. If you work from home, you can write-off things like phone bills, computer purchases, office expenses, and even part of your property and utility bills. Write-offs depend heavily on how often you use what you are writing off to do business. Even if you take business trips or spend money on food and drink during meetings, these things can be written off as business expenses. Additionally, if you recently sold your home, it’s important to report capital gain on the sale of your property. Keep track of all expenses and investments you put into your home as they can be used to adjust the cost base of your home and reduce capital gain to save you money on your taxes. Tax-deferred accounts can help you save a great deal of money and they come in all different shapes and sizes. The most well known are IRAs and SEPs. In general, you are not taxed on these funds until you withdraw them. Additionally, you will be taxed based on the rate of your income tax bracket. Since the idea is to hold onto these funds, you will hopefully be at a lower tax bracket due to income reduction from retirement. The benefits of tax-deferred accounts are substantial. In most cases, it’s best practice to match the sale of profitable investments with the sale of costly investments. Capital losses can be used against capital gains. Additionally, short-term losses can be deducted from short-term gains. The rule of thumb is that gains and losses are only applied to your tax return when they are realized. When you choose to actively reduce your losing investments, you can create a personal scenario where your capital gains are matched with offsetting losses. This reduces your tax burden. For more investors, purchasing stocks comes with a broker fee. These include commissions and transfer fees. Since these are expenses, you need to add these feed to determine your cost basis. These costs serve as a write-off because they are a direct expense you incurred to help you make an investment. Even if your brokerage firm charges low fees, you should claim every expense possible when it comes to taxes. The impact over time can be huge! Short-term gains are taxed at a higher rate than long-term gains. There are several tax advantages of using a long-term buy-and-hold strategy. Since the difference between tax responsibility with long and short-term gain can be as much as 13% in some states, you should consider the long-term effects of compounding on reduce income taxes. It can be very beneficial for you when it comes to tax expenses to hold onto your stocks. When it comes to financial planning, tax management is crucial. There are so many loopholes embedded in tax laws and investors need to make sure they are making the most of their reporting if they want to save money. Take advantage of tax avoidance opportunities that fit your situation so you can lower your taxable earnings. As tax season rolls around, take the time to ensure you’re doing all you can to keep your money in your pocket and away from the hands of the IRS. The savings you get from implementing these simple tips can give you a big boost in your annual tax return!